QuickBooks is excellent accounting software for running a small business. 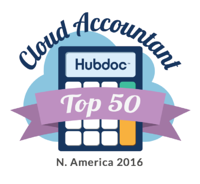 I like to tell clients that QuickBooks is great for a small business owner that doesn't necessarily understand accounting. The reason I say this is that many of the accounting entries are done behind the scenes in QuickBooks just by carrying out the day to day activities of your business. However, I also see a lot of business owners not use QuickBooks to its full potential. Here are 20 ways QuickBooks can help run your small business. The first thing you should do when you get QuickBooks is to customize QuickBooks for your small business. While every small business is different and has unique needs there are a few customizations you most likely want to do no matter what. The goal of customizing QuickBooks is to make your bookkeeping as easy as possible to handle each month. Here are a few ways to customize QuickBooks for your small business.